Start the weekend right dancing rueda de casino at our Friday Rueda Practice for 45 minutes before we go to the Musica en la Plaza event featuring Kimba Light. 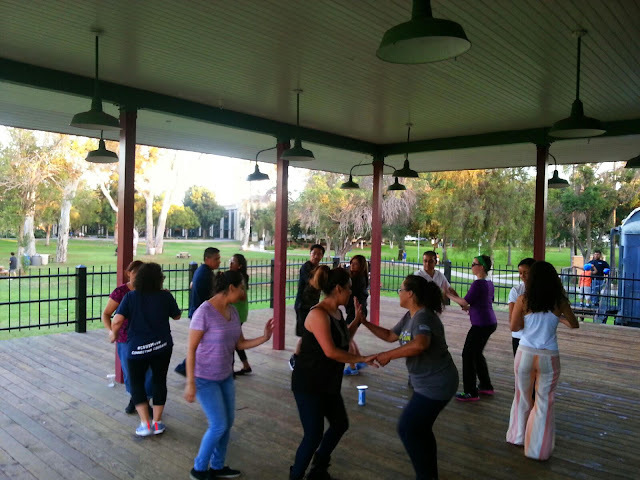 Come refresh on the moves we learned in class this week and what I plan to call in the ruedas at Musica en la Plaza. The picture below is where we will be in Grape Day Park for our practice.